I can't remember seeing a cover that's hyphenated a word in a title before. Is there ANY good reason to do this? 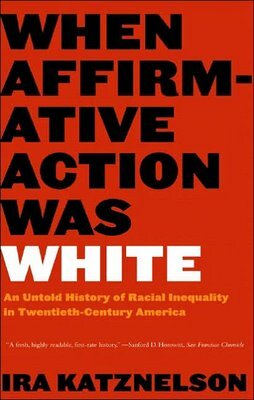 Possibly to emphasize "affirm" in the word "affirmative"? That, or they didn't want to change the size of the typeface, you know, to keep it consistent with the rest of the title. I think this cover looks bold, imperfect, and not pretty - just like the subject matter. It looks straightforward and unapologetic, and I think it really works. All the lines with with an "A" or a "W"? Crypto(-)nomicon does it (on the mass market pb) much better. Cover design for "What is Philosophy?" by Gilles Deleuze, et. al. Should we really look to Continental philosphers to make sense on this one? (Only kidding). Good call! The UK edition of Freakonomics does it too, probably to highlight "Freak". Click my name for the link.